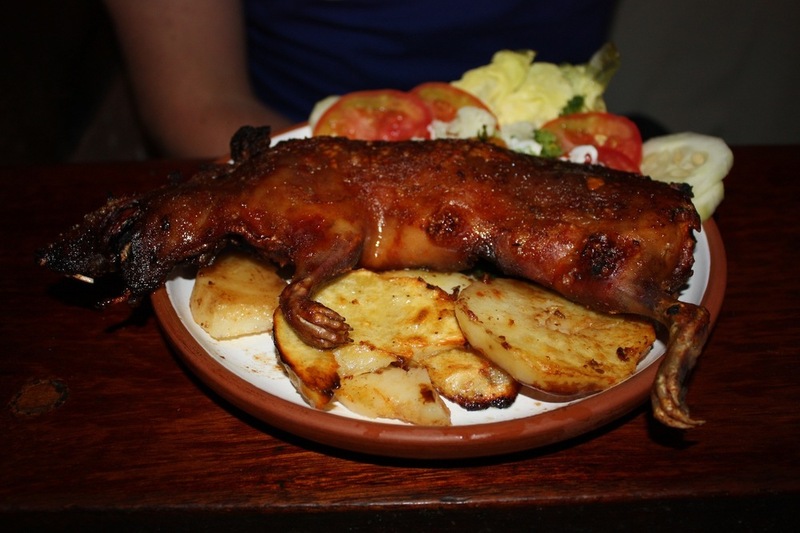 During our time in Cusco (Peru), Nick braved the local delicacy dish – the guinea pig. The verdict? He won't be doing it again. I tried a small bite and I'd have to agree. It resembles chicken but is chewier and has less taste. It was an experience but we'll be sticking with more familiar flavours in future! Good on Nick for trying it. 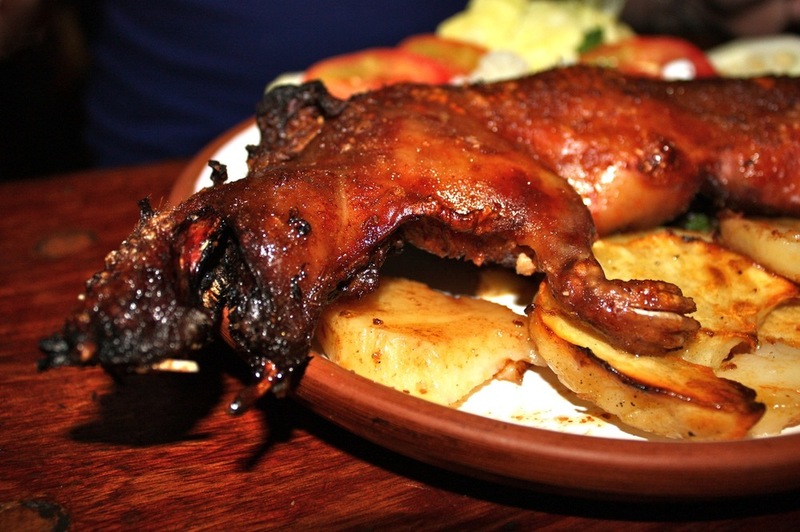 Looks a bit rodenty to me! It’s really not so flash huh? All the little bones make it so hard to eat, as the does the fact that there is often still hair/fur on it. Very rodenty! Not good at all….